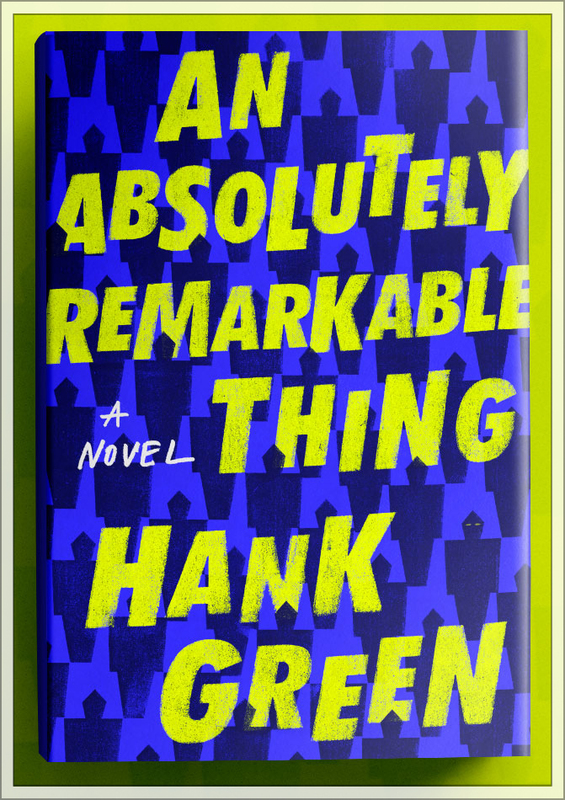 It's called "An Absolutely Remarkable Thing" and it's about a group of friends who accidentally become the most important people in the world. Or, at least, they would like you to think it was an accident. It’s now available on hardcover! And at many local, independent bookstores around the US! I'm Hank, I do a bunch of stuff. I'm actually pretty sleepy. SciShow, a YouTube channel that celebrates science and informs the world (4M subs). DFTBA.com, which helps online video creators sell their own merchandise ($2M to creators in 2016). VidCon, the world's largest conference celebrating online video (40,000 attendees across 3 events in 2017). Complexly, a production company that makes content that helps people see the world more deeply and fully (2B+ views across all channels). Dear Hank and John, a dubious advice podcast. The Project for Awesome, a yearly event that raises money from the YouTube community and enlists creators to make videos promoting NGOs. The Internet Creators Guild, a non-profit dedicated to advancing the needs of online creators. DFTBA Games, a table-top game company that pairs game developers with internet creators. Hank Green and the Perfect Strangers, a Nerd Punk band. The Lizzie Bennet Diaries, an adaptation of Pride and Prejudice into video blogs. 2D Glasses, which allow people to watch 3D movies in a crisp two dimensions. Because of the support of a truly amazing community of people (which happened, as far as I can tell, mostly through amazing luck) I have an uncommon toolkit for making stuff. Of course, I have a lot of help. I get really excited by starting new things, but also by assembling and managing teams who help those things prosper once they see some success. Most of what I've done, I've done with an eye on how cool my job is, how I can keep doing new things, and how I can help other people have jobs they like as much as I like mine, whether that's empowering independent creators or hiring people to do cool stuff.